What is Real Time Expense Reporting? A method of expense reporting that automatically captures and organizes a continuous flow of expense data. 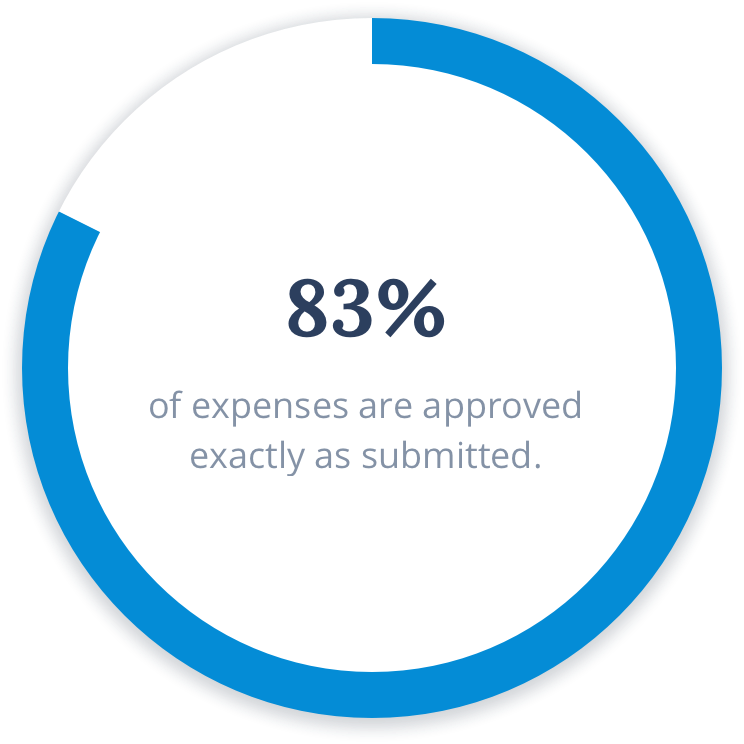 It’s expense reporting reimagined for today’s technology. Real time expenses flow into dynamic Live Reports, speeding up review and approval. Automated controls prevent policy violations, surface anomalies, and keep every expense compliant. Integrate multiple sources of data to automatically suggest expenses that are accurate, complete, and timely. of submitted expenses are denied. Faster review than traditional expense reports. See how much review time you’ll save compared to expense reports. Routing rules send every expense to the proper set of approvers, automatically. Every manager sees only the expenses they need to approve. Instead of reviewing expenses in static bundles, you can review custom reports that are searchable, sortable, and contextual. A real time view of corporate card transactions helps you manage your card spend throughout the month. Granular data means you can analyze spending by project, client, cost center, or any other tracked data in real time.